Welcome to our newest Owners – Christelle & Stiv Tonev, in Midland, Perth! 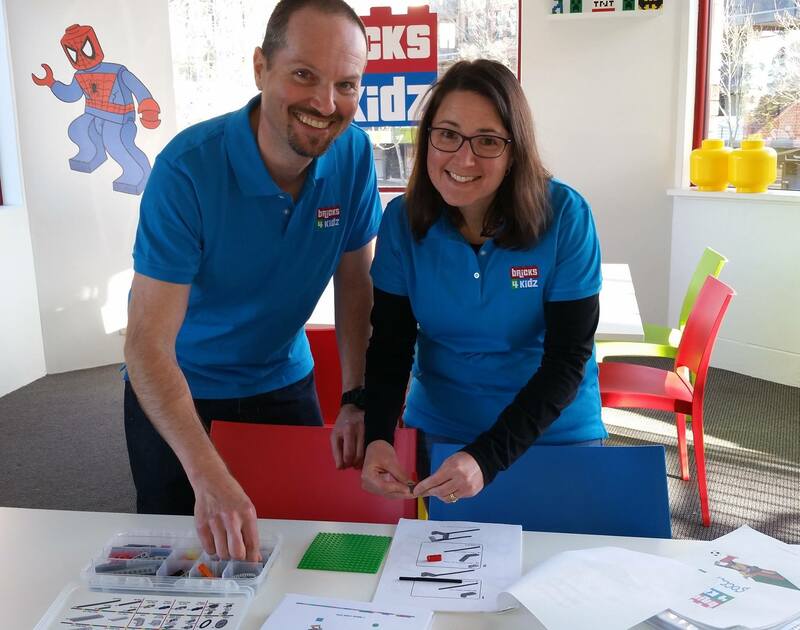 BRICKS 4 KIDZ, Australia’s largest and fastest-growing group providing School Holiday and Robotics Workshops, After School and In-School Programs, Birthday Parties & Events with LEGO®, continues to grow. Welcome to our new Owners! We are thrilled to announce our newest location at Midland in Perth. Kids and families in Midland and surrounding areas can now enjoy our fun and educational STEM-focused programs! Who is the Team in Midland? Stiv and Christelle Tonev moved to the Perth Hills four years ago with two spirited young boys now aged 8 and 6 years. They felt that there was limited fun and engaging educational activities in the area, and jumped at the chance to establish BRICKS 4 KIDZ® in Midland. Their aim is to establish and grow the business and bring BRICKS 4 KIDZ® programs using LEGO® products that provide a fun, hands-on learning experience to the kids of Midland and surrounding areas. Christelle holds various qualifications in Community Services (Youth Work) and completed a Bachelor of Social Work at Curtin University in 2006. In 2016 she completed a Certificate IV in Mental Health. With over 10 years experience as a Social Worker, Christelle has a passion for making a difference in the lives of others. She provides support for young people, couples and families who are homeless or at risk. After completing his Certificate in Horticulture, Stiv began his career working in a local garden centre. After 14 years and in a management position, it was time for a change. Stiv started his own local franchise business with Jim’s Mowing, tending to Perth’s gardens for 7 years, before taking on a new direction with BRICKS 4 KIDZ®. Christelle and Stiv are thrilled to bring our programs to even more Aussie kids, further extending our footprint across the country!